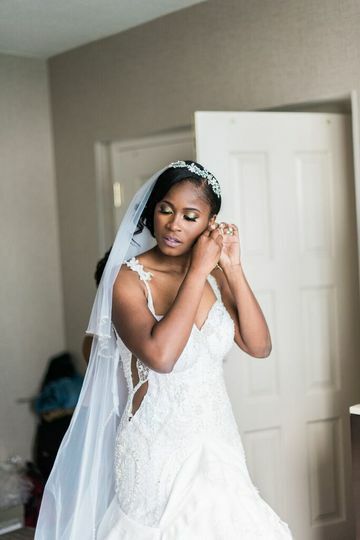 Makeupurmind Studio is a freelance wedding makeup artist located in Detroit, Michigan. Meagen has been a freelance makeup artist for seven years and has participated in a variety of fashion shows, photoshoots, commercial shoots, weddings, and other notable events. She was first introduced to the makeup industry in 2009, where she worked on her BFA in fashion design. Meagen has experience working with people of all age groups, ethnicities, and skin complexions, and offers full and natural face services to everyone. Here are a few commonly asked questions by brides which will absolutely make choosing the right professional simple. 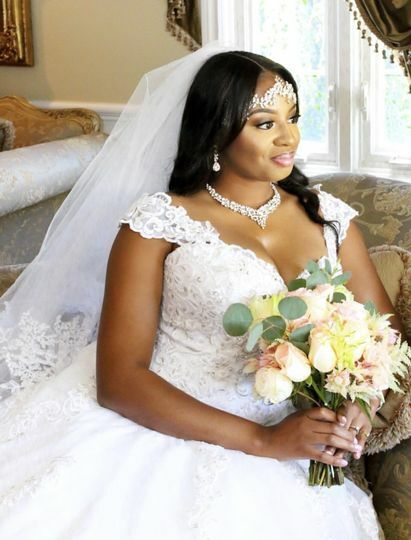 Why is having a professional makeup artist on your wedding day important? Aside from being one of the most important days of your life, your wedding day is the single most photographed day you'll likely experience. Photographed at all angles with HD lenses which magnify even the smallest blemishes. You'll even be dancing, shedding happy tears, and kissing or being kissed all night. Now I know it may seem easier just to do your own makeup for your wedding. However, contracting a professional for your big event not only simplifies things it guarantees a flawless finish perfect for photographs with a long lasting elegant look perfect for your Happily Ever After. Do you provide hair styling services? I do not personally provide hair styling services, but I do partner with amazing bridal hairsylist for weddings and events. How far in advance should I be booking your services? 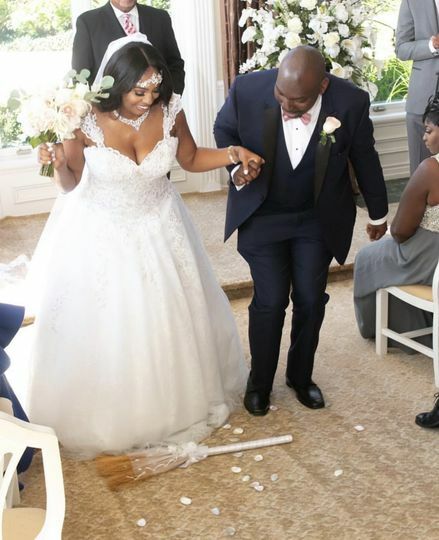 Due to a high volume of bridal inquires and general appointment requests, many on the same date, it is important to solidify your booking as soon as possible for your convenience. I am currently only booking for 2019 and Spring 2020. Please feel free to contact me for availability. I have a wide variety of professional and luxury products I use in my kit. My favorites are Bobbie Brown, MAC, Kevyn Aucoin, Tarte (cruelty-free), Graftobian, Make Up For Ever, NARS, and Anastasia Beverly Hills. I specialize in traditional makeup application, but will be soon providing airbrush makeup to clients. My technique in doing traditional makeup is seamlessly airbrush quality currently. 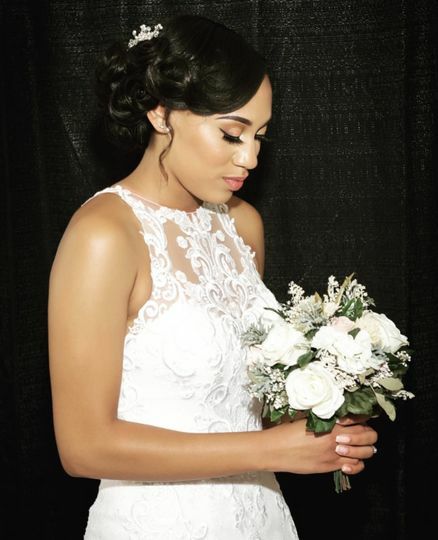 What exactly is a bridal consultation?Your consultation is the time you and your makeup artist spend compositing the perfect look for your big day. This look is timeless, elegant, glamorous, and classic, but does not exceed your level of comfort with wearing makeup. I recommend brides to utilize Pinterest, Instagram, and popular bridal websites to research looks its both fun and informative. During this time my brides also suggest looks for the bridesmaids and select their lashes (there will be an assortment). After we've talked all things bridal glam and found the perfect look we set and your off to enjoy your day in makeup. That way if anything needs to be tweaked or applied differently for longer wear its found out during that time and not the day of. Will I need touchups? What is Full Day service? 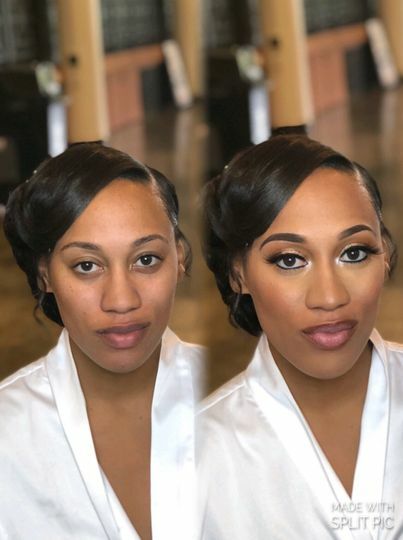 With your Bridal Glam makeup application your makeup is set to last the duration of your ceremony, reception, and that long honeymoon flight or the ride your honeymoon suite with special products. Brides experience maximum wear and protection from excess skin oils, sweating, and even those happy bridal tears. But there are few instances in which having your makeup artist present a little while longer can prove beneficial. For Instance, your great aunt Lisa who loves bright red lipstick is so excited and kisses you smack dead on the cheek while walking out of the ceremony or while taking pictures, you accidentally take a makeup wipe and wipe your lips and remove makeup around your mouth, your new husband smashes cake in your face right before the first dance, or its starts to pour down raining while you're in the middle of taking outdoor pictures with no shelter area nearby. All those are instances but they could happen you'd want to be safer than sorry. 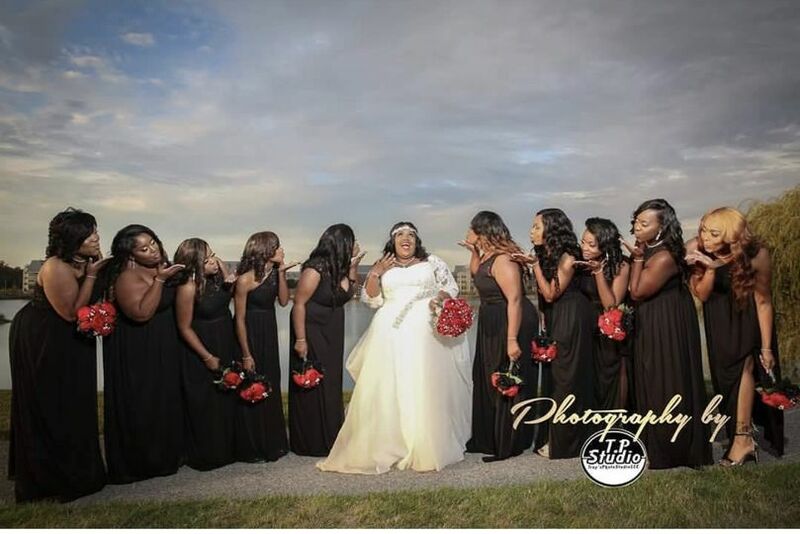 Many brides do also book this service starting at $175.00 for 3.25 hours to change their lip colors after the ceremony, to provide touch ups, or make adjustments to the look for their reception dress. My makeup applications last and I advise my brides they need not worry, but I understand the security in having me there for a while longer and if it makes you feel better and reduces wedding day stress I'm always happy to do so. Do I need a bridal consultation?Consultations are recommended, but they are not mandatory. Consultations allows me to observe your skin and become familiar with your overall canvas. 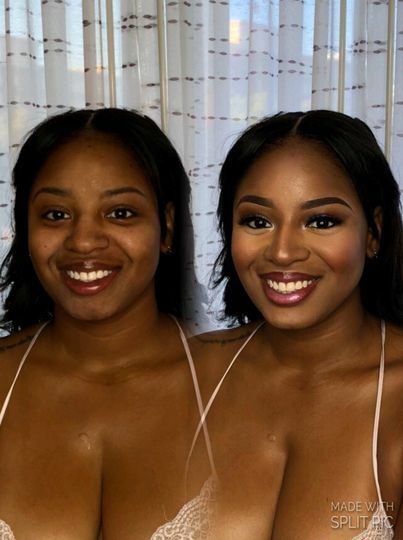 If you're booking without a consult its perfectly fine I have provided makeup on various skin types therefore I am familiar with texture and troubleshooting problem areas and skin your in good hands. 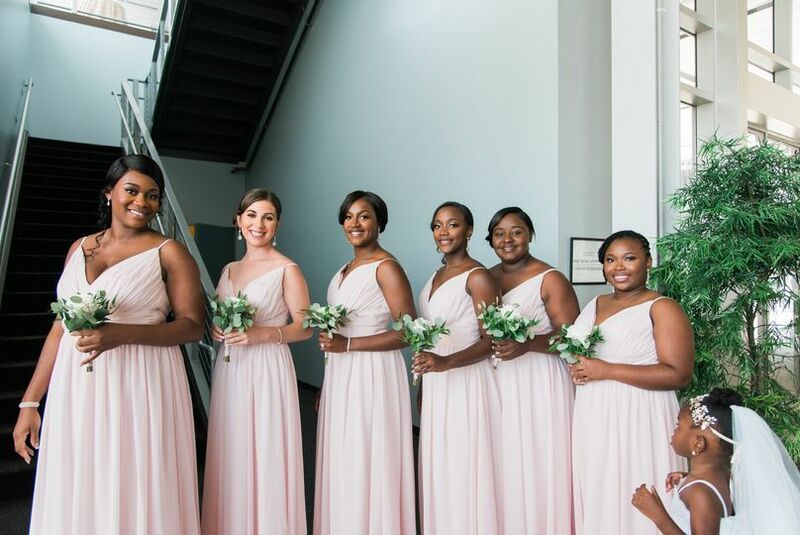 Many women use this trial service on the date of their wedding shower or another wedding related event if they've already booked with no trial. Bridesmaid consults are not complimentary with large parties. 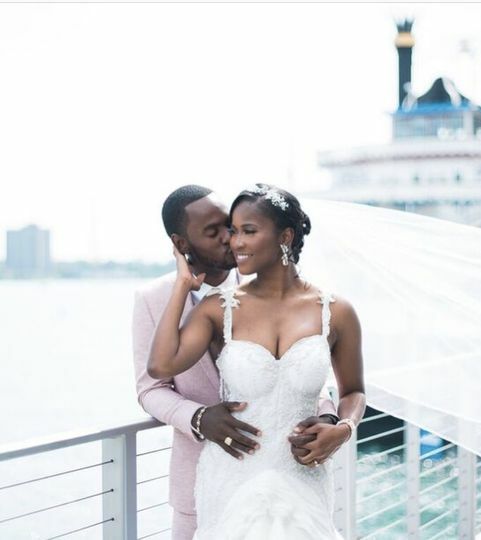 What can I expect on my wedding day? On your wedding day you can expect me to arrive 15 minutes before the start time to setup this is important. I ask that there is enough room for the layout of products and movement of myself and any assistants. Once setup I'll provide makeup for the bride first if the bride for some reason can not be serviced first she will be serviced no later than following the third person. Party members are prepped for makeup (skin is wiped of any excess oils, dirty, makeup, skin is exfoliated based on needs & moisturized and primed and enlarged pores are filled), makeup is applied including false eyelashes and then set for maximum wear. The bride and party are completed the bride is then touched up for pictures as well as party members. I then depart unless scheduled for full-day service. Meagen is such a nice person to work with, very professional, polite and knows a lot about skin care as well. My bridesmaid trial and bridal trial were both amazing and I booked her right there on the spot for my big day. 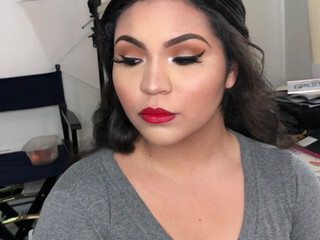 I had a big bridal party - about 12/13 of us got our faces glammed and she had all of our faces BEAT! It was a phenomenal day and if I had to do it over again I would choose Meagen again in a heartbeat! Def my go to person for all my make up needs! Thank you Meagen for playing a role in making my day as magical as it was! I appreciate Meagen so much! She was such an important part of my day! She truly made me feel like family with her sweet and genuine personality. Her professionalism made the day easy. Thank you so much Meagen!!! Meagen was very professional and did a spectacular job. Most importantly, she was on time and eliminated a lot of the stresses for the day.